Written by two Dutch folks (Bianca du Mortier and Ninke Bloemburg), Accessorize! 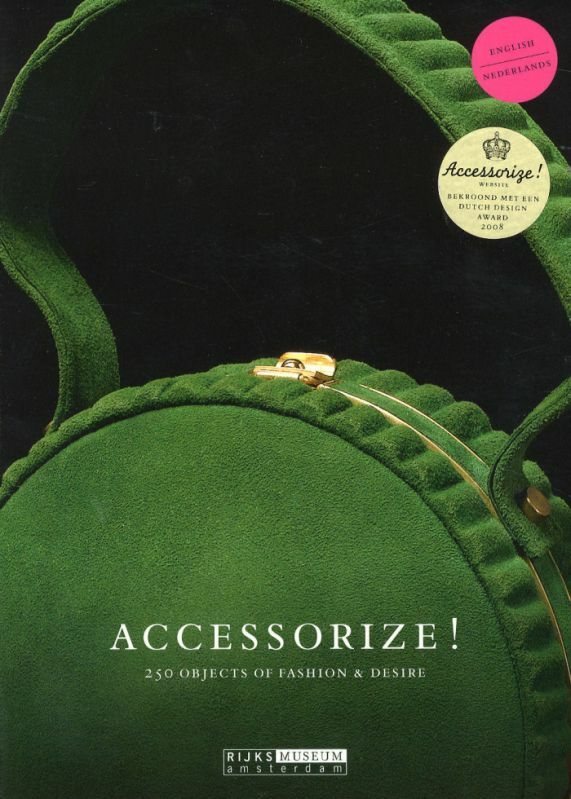 : 250 Objects of Fashion & Desire Accessorize! 250 Objects of Fashion & Desire Book takes readers on a highlighted tour of the Rijksmuseum’s fine collections of fashion accessories. Items range from wigs to walking sticks – with hats, shoes, and other familiar items thrown in for good measure. In a stroke of brilliance, the book is organized by color, which allows fascinating juxtaposition of fashions, materials, and time periods. The power of object is central throughout. What, put off that some of the objects covered might be for women? Well, it seems given the recent fertilization of masculine fashions a spot of contextualization wouldn’t hurt anyone. Published by Yale University Press. Pre-order now from Amazon Accessorize! 250 Objects of Fashion & Desire Book .